Calistoga Press is a trusted global publisher of self help titles. The experts at Calistoga are dedicated to providing readers the support and real-life strategies the need to overcome personal and emotional challenges, from divorce, to grief and loss, to a diagnosis of Alzheimer's disease. Frequently praised for non-judgmental tone and practical information, Calistoga books allow readers to find comfort, solace and direction, even in the most challenging of times. The Calistoga catalogue includes the Wall Street Journal Best Seller, Memory Tips & Tricks, and the #1 Amazon Best Seller, Understand Alzheimer's: A First-Time Caregiver's Plan to Understand & Prepare for Alzheimer's & Dementia. Calistoga Press is located in Berkeley, California. 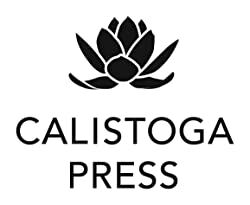 Please enter your email address and click the Follow button to follow Calistoga Press!